New Delhi: The Muslim Women (Protection of Rights on Marriage) Bill, 2017, more commonly known as the Triple Talaq Bill, has been passed in the Lok Sabha. The bill proposes to make instant talaq, or uttering the word "talaq" thrice, illegal. The bill also includes a three-year jail term for a Muslim man who uses triple talaq. The bill will now be sent to the Rajya Sabha. After the passing of the Triple Talaq Bill in the Lok Sabha, Union Home Minister Rajnath Singh said it was a historic day. 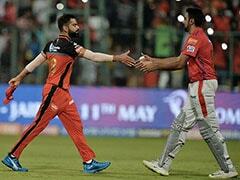 He also said that he was confident that the bill will be passed in the Rajya Sabha as well. The Muslim Women (Protection of Rights on Marriage) Bill, 2017 will now be introduced in the Rajya Sabha tomorrow, where the bill is expected to face a challenge. The passing of the bill makes Triple Talaq a criminal offence. It also proposes a three-year jail term for a Muslim man who divorces his wife by saying the word 'talaq' thrice. In the Lok Sabha, Law Minister Ravi Shankar Prasad also said that the centre did not take decisions to get votes. He said that the bill was introduced after the Supreme Court had called triple talaq illegal. Mr Prasad also said that the Dowry Prohibition Act is community-neutral and is a criminal offence. He said that if there is a law on dowry prohibition, then there should be a law on triple talaq, which would help women who suffer from triple talaq. Ravi Shankar Prasad has taken the floor of the Lok Sabha. Mr Prasad said that the bill should not be delayed. He said women were hoping for justice from the centre. Mr Prasad talked about the nature of the Triple Talaqs, saying they were happening through emails and WhatsApp. He said this matter was being seen through a humanitarian lens. He said the issue was not about religion or faith but about justice and gender equality. He said that on one front, there was pride in 'Make in India', while on the other there was 'Talaq, Talaq, Talaq'. 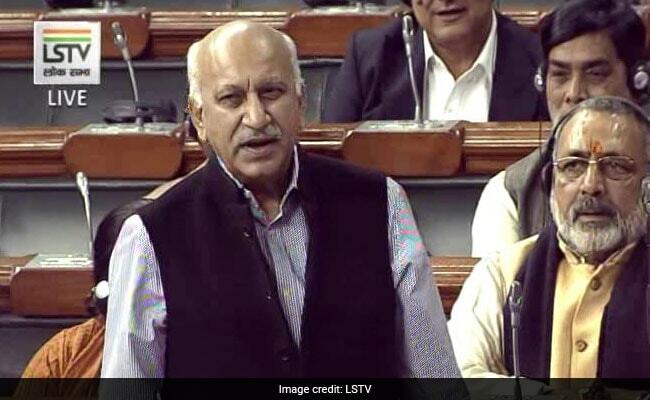 In parliament, MJ Akbar said that the slogan of Islam under threat had been used before independence to divide India. Mr Akbar said that the same slogan was now being used to divide society. Mr Akbar said that the Triple Talaq law will benefit women as well as the nation. According to news agency ANI, the NCP's Supriya Sule referred to the Supreme Court citing the misuse of dowry law and questioned whether the same kind of misuse will occur in Triple Talaq cases. According to a report by IANS, Congress has said that it supports the Triple Talaq Bill, but said that the bill needs to be strengthened in favour of Muslim women. The Congress said the law must ensure that subsistence allowance and maintenance to women and children is not stopped. "Even the Supreme Court has held the "Talaq-e-Biddat" and Triple Talaq unconstitutional. My friends in the opposition talk of fundamental rights, but I want them to answer, do these rights only belong to men? Do Muslim women have different rights than Muslim men? No. The constitution does not make such a distinction. It treats all Indians equally and their rights equally. And that is what is bill is about," says union law minister in Lok Sabha. "Today is a big day for India. We are taking a significant step towards women empowerment, women's respect and women's rights," says Ravi Shankar Prasad. 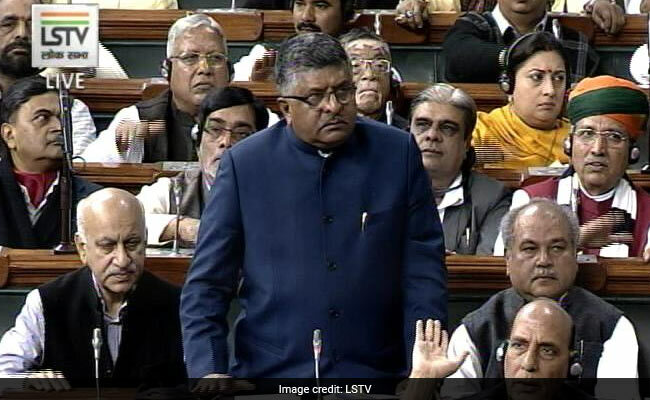 Union Law Minister Ravi Shankar Prasad speaks in Lok Sabha on the Triple Talaq Bill introduced in the parliament, says, " "We are about to make history." Biju Janata Dal and AIADMK join hands with AIMIM to oppose the bill. Asaduddin Owaisi speaking at the Lok Sabha on Triple Talaq. Opposing the bill, Mr Owaisi says, "The bill if passed will be an injustice to Muslim women." Triple Talaq bill introduced in the Lok Sabha. 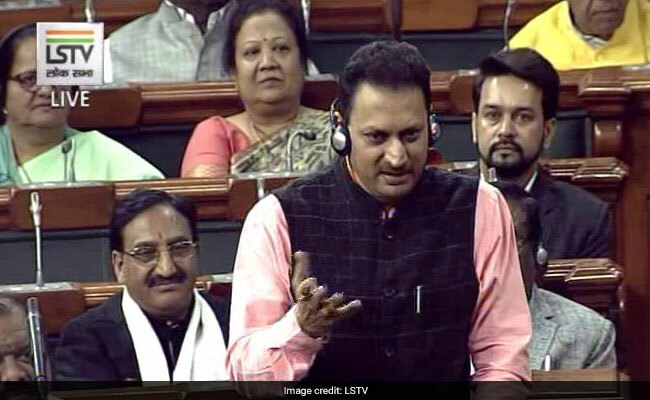 Rajya Sabha adjourned till 2PM amid opposition protests over controversial statements made by Anantkumar Hegde. "We will now take even more concrete evidence to the International Court of Justice proving that all allegations made by Pakistan are false," says Sushma Swaraj. In Lok Sabha, Ms Swaraj says, "Intercom was switched off when mother spoke to Mr Jadhav in Marathi." Lawmakers chant "Pakistan Murdabad" in Lok Sabha. Sushma Swaraj addressing the Lok Sabha on Kulbhushan Jadhav's meeting with his mother and wife in Islamabad, Pakistan. All parties endorse and support External Affairs Minister Sushma Swaraj's statement in the parliament on how Kulbhushan Jadhav's family was ill-treated in Islamabad, Pakistan. "I had to say a lot of things. The false allegations that Pakistan has put on Kulbhushan Jadhav can become more problematic if we make too much noise. We know the Pak army, government very well. They don't follow any norms. This is ill treatment not just of the Jadhav family but of all 130 crore people of India," says Leader of Opposition in Rajya Sabha Ghulam Nabi Azad. "I reconfirmed this with the family this morning to be absolutely certain of this. The shoes have not been returned. Pakistan's behaviour has been beyond absurd. Sometimes they claim a microchip, sometimes a recorder, and sometimes a camera. What about the Emirates flight they took? These were the shoes they wore during their travel. If that had been the case, they would have been detected at security check before they boarded the Emirates flight," says Ms Swaraj on Kulbhushan Jadhav's mother and wife being asked to take off their shoes before meeting Mr Jadhav in addition to being asked to take off bangles, bindi and change their clothes. "Pakistan is upto mischief as far as the shoes are concerned. Why have they said the shoes had something metallic? How is that possible - she went through several fights - crossed several security checks. There was no humanity in this meeting - they were repeatedly insulted. They are no words to condemn this," says Sushma Swaraj on how Pakistan treated Kulbhushan Jadhav's family when they went to Islamabad to meet him. "The manner in which the meeting was organised was appalling. Their clothes, shoes, bangles, and even their mangalsutra was taken away. Both mother and wife were presented as widows in front of Mr Jadhav. The first thing that Kulbhushan Jadhav asked his mother was "What happened to father?" after he saw no mangalsutra on his mother," says Ms Swaraj. "The meeting between a mother and her son, a wife and her husband after going through so much was turned into an exercise of propaganda and an opportunity to exploit the situation," says Sushma Swaraj. External Affairs Minister Sushma Swaraj speaks in the parliament on Kulbhushan Jadhav's meeting with his family. She says, "As we all know the foreign ministry along with the Pakistan government had organised for Mr Jadhav's family to meet him in Pakistan on Monday. The family wished to meet Mr Jadhav and we arranged for it. Even Pakistan agreed for it this month. This could have been a step forward for both countries, but this wasn't to be..."
"My comment was misunderstood. I respect the constitution and believe that it is supreme. If however, my statement has hurt anyone's sentiment, then I am even willing to apologise for it," says Anantkumar Hegde. A day after making controversial statements on changing the Constitution, Union Minister Ananthkumar Hegde backs down after opposition protests, says, "I respect the constitution." "PM appealed for unanimous passage of the Bill as it aims to give gender justice, protection & respect," said Union Minister Ananth Kumar after BJP parliamentary meeting, reported news agency ANI. 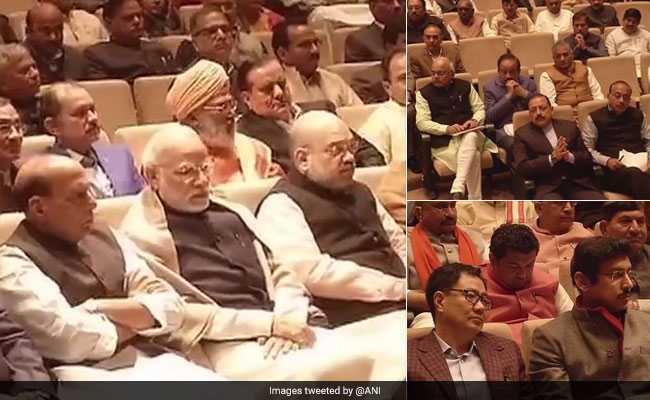 BJP-President Amit Shah and Union Ministers Rajnath Singh, Ravi Shankar Prasad, Kiren Rijiju, Jitendra Singh among others attend the BJP parliamentary meeting which is currently underway at the parliament's Library Building. Prime Minister Narendra Modi arrives in Parliament. BJP Parliamentary Board Meeting begins.